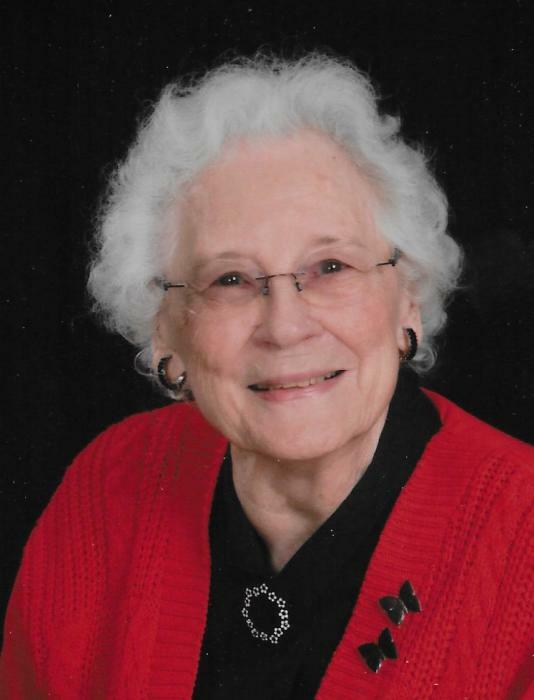 Velma Maxine Hittle Applegate daughter of Talmage LeRoy Hittle and Mary Emma Twaits, born November 21, 1921, passed from this life into Eternal Life with her Lord and Savior Jesus Christ, on February 1, 2019. Velma was born in a little town of New Weston Ohio in Darke County. Velma loved her father Talmage, whom she called “Pop” and was very close to him as a little girl. When Velma was 5 years of age her “Pop” died within days of an infection he received from a cut on his finger while in auto repair. He owned and operated an auto repair garage. Velma’s five year old mind was grieved and her life was forever changed as well as her mothers, and two siblings, Mildred and Richard. Mary Emma never married again and times were difficult for the family. Mary Emma took on sewing and laundry to support the family. They moved to Ansonia and God took care of their needs. When they moved to Ansonia, they moved just down the street from Velma’s future in-laws Paul and Lydia Applegate. Velma spent a lot of time at the Applegate’s house growing up as she related. The Twaits family was a musical family and sang in a gospel quartet and sang publically in area churches. Velma received Christ as her Savior at a young age. As she developed her talents on the piano and vocally she played and sang in churches. Velma loved to share the Bible with children and talk about Jesus. She taught in Sunday school much of her adult life. For many years Velma invited neighborhood children to her home to play games and share the Gospel of Jesus Christ. Velma married her childhood sweetheart Merlin Applegate September 21, 1941. After Nicholas was born November 30, 1942, the family moved to Grand Rapids Michigan where Merlin started working for Lear, Inc. in 1945. Douglas was born in 1952. They moved to the Northview School District. 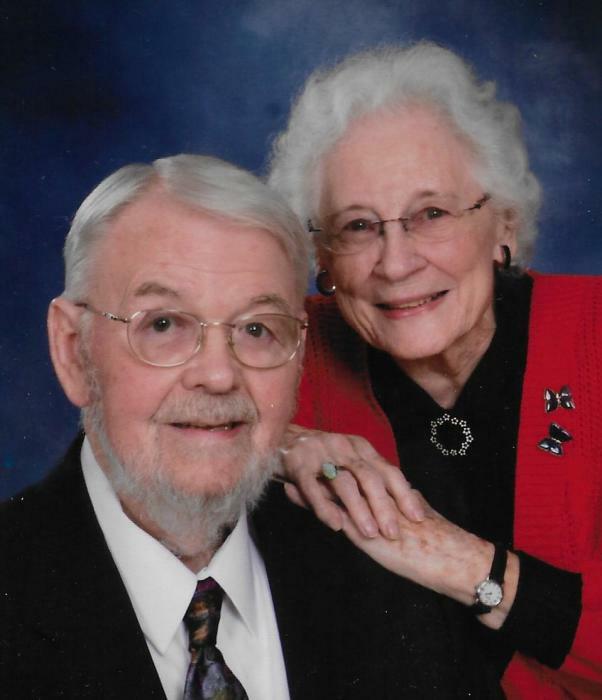 Velma was always very active in church and they attended Oakview Reformed Church for several years and Calvary Undenominational Church for many years when it was located on Michigan Avenue and then on the East Beltline. Velma left a wonderful Christian influence to all ages during her lifetime. She is survived by her son, Nicholas J. Applegate (Nona); Grandchildren, Shawn Applegate (Kristie Hendrickson), James E. Applegate (Patricia Denoyer), Anthony R. Applegate (Kristy Steele), Nicole M. Applegate Bland (William), Grand-Grandchildren: Parker, Payton and Presley Applegate, Kristy M. Applegate; Eliana, Elijah, Elexis, Elysse and Ellora Applegate; Jared N., Lillian E., and Gabriella R. Bland. Funeral services will be held 11:00 a.m. Wednesday, February 6th at the Metcalf & Jonkhoff Funeral Chapel where friends may meet the family from 10:00 a.m. until the service time. Interment Rosedale Cemetery, Standale , MI. For those who wish memorials may be made to the Muscular Dystrophy Foundation.